There have also been rumors that Hugh Laurie & Robert Downey Jr. are up for the role of Haymich Abernathy, what do you think? I don't know about you but I just love the choices! 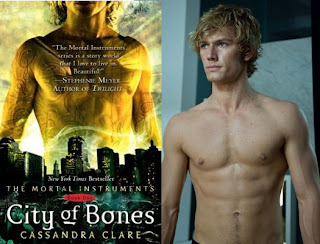 I think both guys physically fit the roles. But nothing is official and for now these are the fans "wants/desires". Filming is underway in Sweden for the American adaptation of The Girl with the Dragon Tattoo. 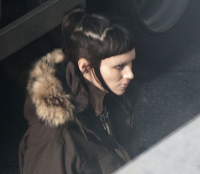 The leading lady, Rooney Mara, will be portraying the books main character Lisbeth Salander. Mara has embraced the role and showed up to a film festival sporting her characters signature look. Here is Mara before and after her Lisbeth makeover. We would love to share the news! O most definitely Hugh! Though I wish they were choosing someone portly. I LOVE the possibles for Haymitch. Robert Downey Jr. has Haymitch's sarcasm down to an art. I could die happy if Alex Pettyfer was cast as Jace. Just saying. And Logan is an adorable choice for Simon. Him or Graham Phillips. books being made into movies. I hope that they keep the general theme or storyline, but other than I don't go into with high expectations anymore. I saw some other pictures of Rooney. Really incredible transformation. I hope all the tattoos are fake. They must be. Also heard more news about Miley Cyrus doing Wake. She says she wants it to be more of a horror film. Yep, we're super excited about all of these. THanks for the updates!!! Wow! I can't believe I haven't read any of these books yet, so now I can't join in the fun! Shame on me!! I can't decide who I want more for Haymich, they are both great options. 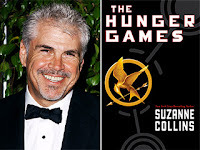 @ Julie I always worry the movie will ruin the book too :(... If the others are involved I usually have a little more faith. 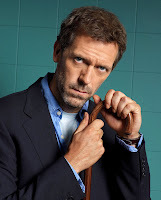 Hugh Laurie would be best as Abernathy. Mara looked pretty scary in her Lisbeth makeover... Have you seen the other Lisbeth the foreign Danish (I think their Danish) movies? Now she's perfect!